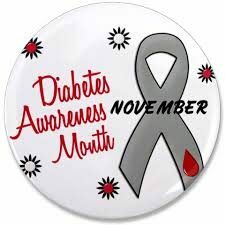 November is Diabetes Awareness Month; sad to say, this disease has touched my family very deeply. I watched my grandmother lose her sight, watched my uncle disappear piece by piece. Now a couple of cousins are suffering through the trials and tribulations of Diabetes BUT...with so many wonderful technological advancements, the suffering is perhaps a little less traumatic. For the last two weeks, I have been using our social media postings to support Domestic Violence Awareness Month. It became very clear to me last year, the tech world had a huge connection to the ugly reality of Domestic Violence, from the dark side of GPS usage to stalk victims, to the bright side of Safety Apps for quicker responses to a victim in crisis.